A-Group, which provides ground handling services to business aircraft at Moscow Sheremetyevo has opened its third hangar at Russia’s largest airport. The new building has the floor area of 6,100 square meters and can house up to eight medium-class business jets. It is located next to the Business Aviation Terminal A, where A-Group is based. The heated building has a dedicated area for storage. 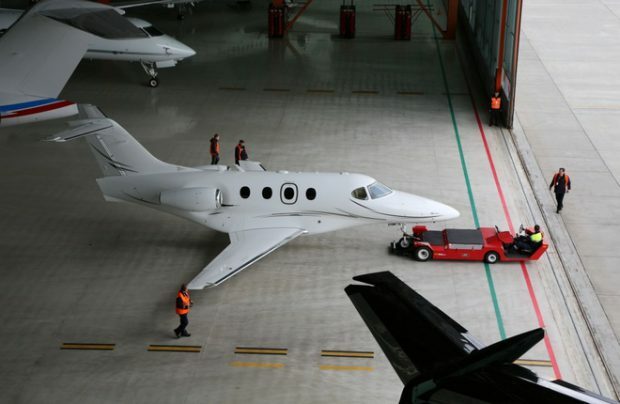 With the new hangar factored in, the total floor area of the company’s facilities now exceeds 16,500 square meters, which corresponds to 32 medium-sized business jets. The new hangar was opened in anticipation of a recovery on the Russian business-aviation market. In September last year the company’s marketing director Nadezhda Turovskaya mentioned that traffic through Terminal A was starting to pick up. A-Group has a second base in St. Petersburg’s Pulkovo Airport, where it has two hangars now. It also manages helipads at both airports.